Thank you for visiting our new website which currently only features my original paintings and a few of my books. We have had some calls asking where to find Bryn Parry Studios products like mugs and notecards so I thought I ought to explain what is going on in our world. Emma and I set up Bryn Parry Studios in 1985 when I left the Army to become a cartoonist and designer. For the next twenty three years I drew my cartoons, assisted by our dogs, and Emma put the images onto high quality products that sold around the world. In 2007 we met some wounded soldiers in hospital and as a result, set up Help for Heroes (H4H). We had expected to run H4H for six to nine months but it took over our lives. It became obvious that we could not run both BPS and H4H so the cartoon side of my life was put on hold while we focussed on those who have been injured while serving our country. In 2009 we granted the license to reproduce my images on products to Jersey Pottery and Orchard Melamine and they traded as Bryn Parry Studios (2009). In February 2016 the license came to an end and BPS (2009) has ceased to trade. The name Bryn Parry Studios has returned to me and Emma, hence this website that offers some of my previously unsold original cartoons but no products. For now, H4H takes up all of our time so we can’t offer our range of products; we don’t have any nor do we have any staff; its just us in our spare time! Going forward, we hope that we will reduce the hours we do at H4H and I will get time to doodle again. So, while we review how we do that please have patience. We hope to be able to bring some products back and when they do they will feature on this website. Equally, if you have a broken mug, I’m afraid I can’t currently replace it . Finally, I apologise for this as it must seem pretty confusing but please understand that we had never envisaged that H4H would become what it has and in doing so, how it has affected our lives. Stick with us please; we will get back to cartooning and once we do, it will be a pleasure to supply you with our new products. As they say, watch this space!. This entry was posted in Bryn Parry Cartoons. Bookmark the permalink. 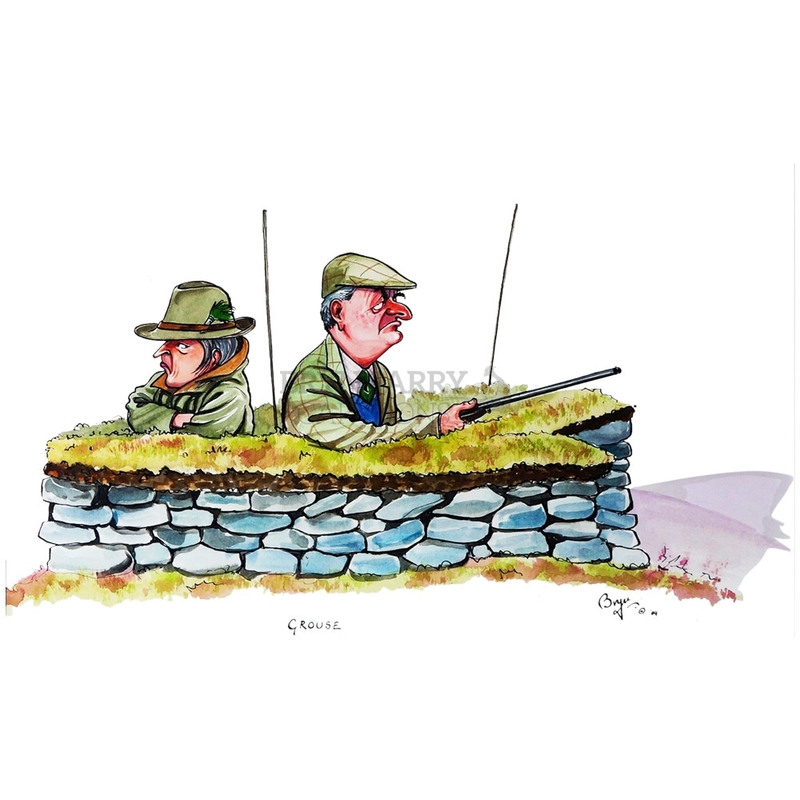 There are hundreds of Bryn Parry Cartoons here; some from my books and some from the various products I have illustrated over the years. Have a look around, I would be delighted if I could find them a good home, even if they are destined to hang in the loo… at least they will be seen. Signup to be updated when new products and designs are added.